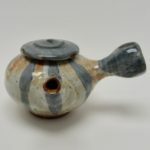 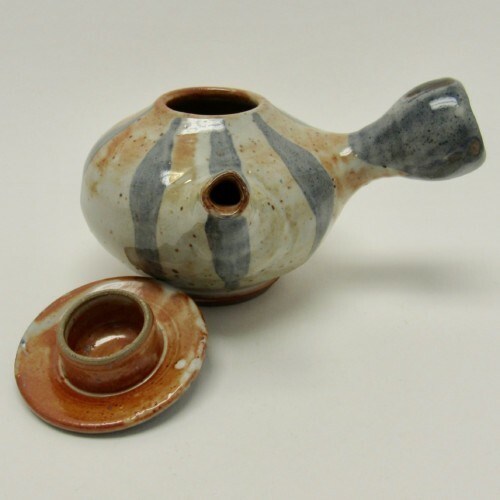 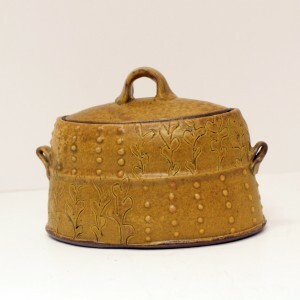 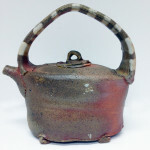 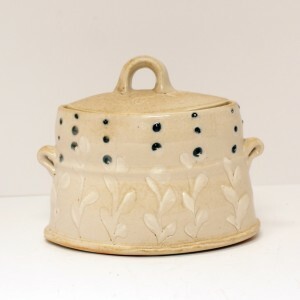 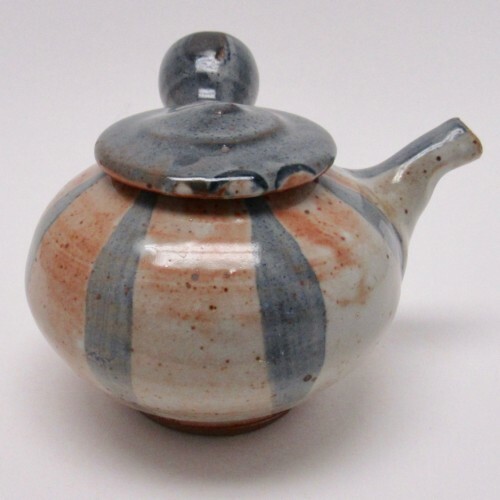 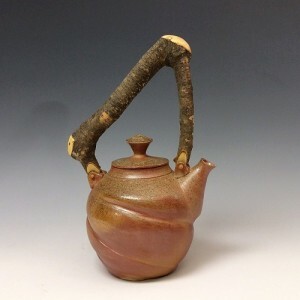 This Japanese style teapot by David Ernster is perfect for an afternoon cup of tea. 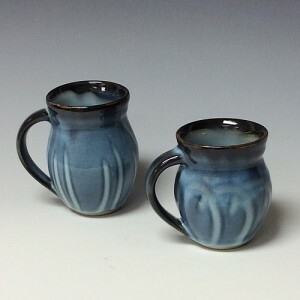 The side handle makes it easy to pour out every last drop. 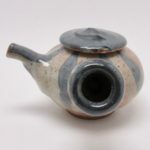 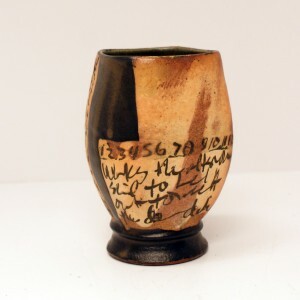 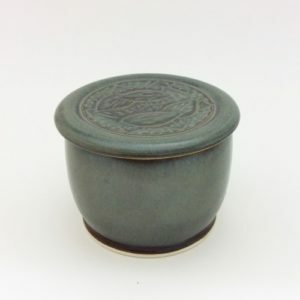 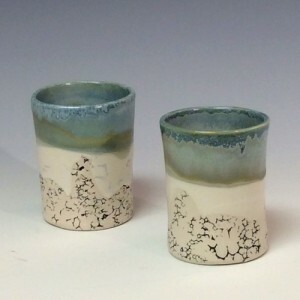 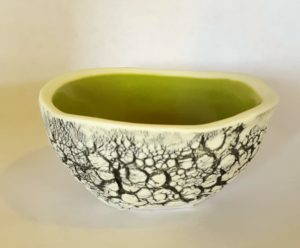 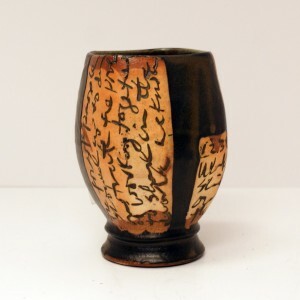 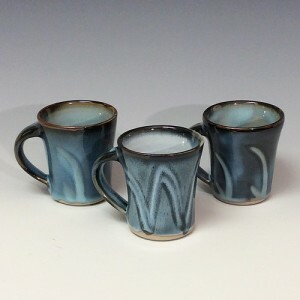 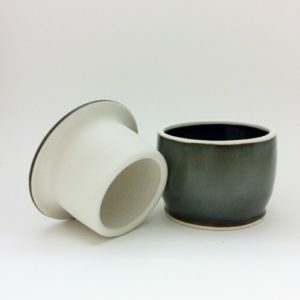 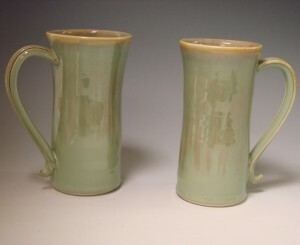 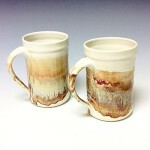 Shino with blue grey brush strokes, it holds approximately 3 cups. 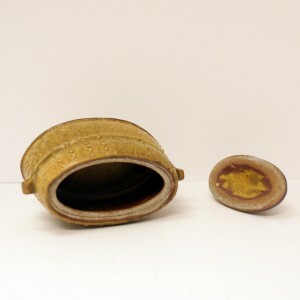 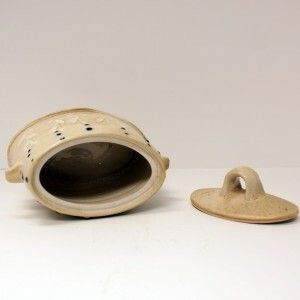 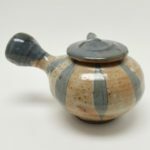 8″ tall, 4 1/2″ wide (including handle), 1 5/8″ opening.